As crickets chirped and verbal violins rhapsodized over the plight of “poor mistreated athletes” in the wake of the damning-to-Alabama Yahoo! report yet another ‘isolated incident’ surfaced. An Alabama assistant was suspended for providing improper benefits to a star Tide player. Another brick. At what point do these so-called isolated incidents become a clear pattern of abuse and corruption? Maybe it’s time to just lay it all out there, once and for all. Since state and national media are loathe to do it, we will take up the cause. Decide for yourself how these dots connect. Before we go any further let’s address the predictable backlash from Alabama fans and segments of our own (and other) fanbases. Are we obsessed? You’re damn right we are. Obsessed with fair treatment under the rules. Should we take the “high road” and ignore what’s happening across the state; remain above the fray? The fray was dragged roaring, snarling and clawing to our doorstep in 2010. It was left there to devour us. 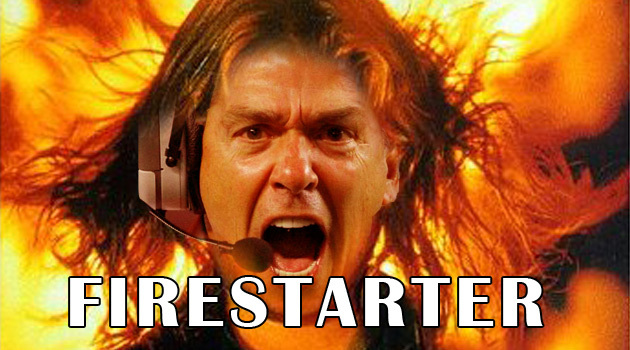 Despite the best efforts of those aligned against us the effort to destroy Auburn failed. Even as one specifically named in the Yahoo! report tried to defame us, the effort failed. Due to our collective strength and our willingness to finally stand up and be counted, it failed. Are we now supposed to just walk away? Are we supposed to forget everything said and done against us when the dirty brush with which we were unfairly painted is finally pointed back where it belongs? Some would say this is not our fight. We don’t agree. Our fight is for fairness, equality and a level playing field. That fight is far from over. When our program is broadly smeared on the basis of unsubstantiated rumor while another transgresses with impunity, we believe it is our duty to point out the hypocrisy. When our program is branded as an outlaw while another is held up as a model of efficiency and when that allegedly efficient program is replete with scandal and outrageous behavior, we believe it is our obligation to shine a light on the true nature of the beast. If you’re the fan of any team in the SEC, you should be concerned. If you’re a fan of Ohio State, Southern Cal, Miami, Oklahoma State, North Carolina, Texas A&M or Penn State you should be outraged. The rampant pattern of abuse that has seemingly emerged in Tuscaloosa impacts us all and simply cannot be brushed away because the head coach is surly in his press conferences and the state media is too busy groveling or too afraid to ask questions. Those questions need to be asked. Start at the top of the cabal. The connection between Alabama head coach Nick Saban and NCAA President Mark Emmert is clear and rife with questions. Is it possible that their chummy relationship, and the presence of an Alabama grad at the head of the enforcement staff, causes the NCAA to look the other way? In April of 2013, USA Today unearthed systemic academic fraud that occurred on Saban’s watch. In the same story, Emmert was also tied to scandals at Uconn, Washington and Montana State, other schools he served prior to taking over the NCAA. Saban claimed no knowledge of academic improprieties. That story was quickly buried and disappeared from the national narrative. Other stories that would cause apoplexy from those who cover college football were they related to other programs also vanished without a trace. Saban’s early years at Alabama featured more police blotter antics than wins. His media-created reputation for meticulous discipline was curiously applied and/or timed to mitigate damage. Who can forget D.J. Hall’s famous one-game, oops-we-are-losing-to-Louisiana-Monroe-I-meant-half-a-game, suspension? When questioned, Saban bristled and the reporting horde backed down in fear. Pay no attention to Saban’s apocalyptic meltdown where he compared a loss to the destruction of 9-11. We’ve heard repeatedly about smoke and the supposed associated fire in Auburn, but as the constant stream of items below clearly indicate, the real conflagration burns in Tuscaloosa. Shortly after Saban arrived at Alabama, academic questions followed. Tide signee Josh Chapman had a high school grade changed to make him eligible. Allegations that teachers were pressured to change grades for Tide signee Kerry Murphy also surfaced. A week later, Chapman and Murphy were declared eligible. Saban got an NCAA rule named after him in 2007 after skirting the rules by “bumping into” recruits during designated no contact periods. 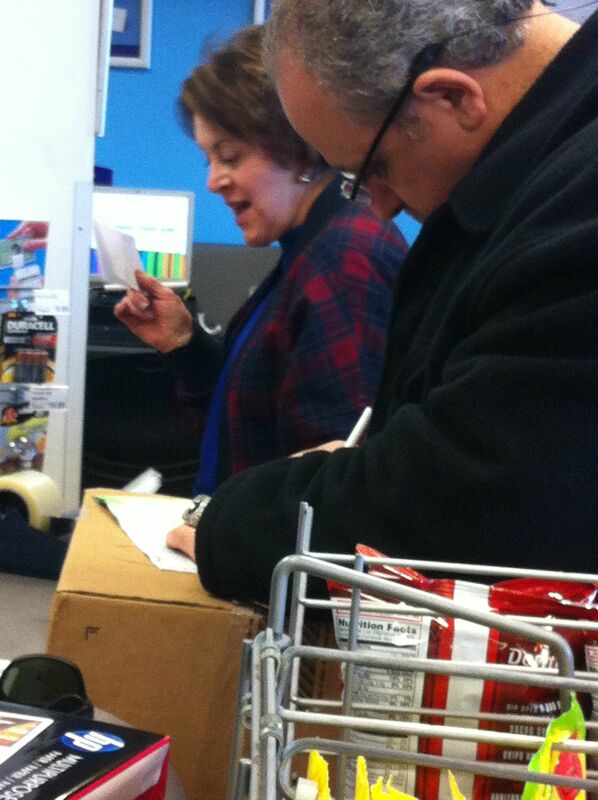 He then stirred up more controversy by “bumping into” another prize recruit in 2011 and sharing information improperly. In March of 2009, Alabama admitted NCAA violations in relation to athletes who improperly acquired and sold textbooks. Five football players were suspended four games each for using their athletic scholarships to get free textbooks for others and the Tide vacated 21 wins. The case also opened the five-year repeat offender window for Alabama which had been sanctioned three times in ten years. That window supposedly remains open until March, 2014. In August of 2009, Julio Jones and Mark Ingram were sanctioned for accepting improper benefits after the pair took a fishing trip paid for by an Athens businessman. The punishment? Pay back the cost and move along. Nothing to see here. Open window ignored. In July of 2010 Alabama’s Marcel Dareus attended an agent’s party in Miami that was also attended by several members of the North Carolina football team. It was later determined that Dareus accepted nearly $2000 of impermissible benefits including airfare, lodging, meals and transportation. Dareus was suspended for two games and had to repay the money after an internal investigation at Alabama. What happened to that repeat window? Meanwhile at North Carolina, the Tarheels suffered three year’s probation, the vacation of 16 wins, a bowl ban and the firing of head coach Butch Davis in the aftermath of an NCAA investigation. Brent Calloway was at the epicenter of a curious 2010 recruiting saga that included a possible Alabama booster Darren Woodruff removing him from high school and sequestering him in a Florida motel until after signing day. Once an Auburn commit, Calloway signed with Alabama. After a thorough one-day investigation, Alabama found no reason to self report any violations and the NCAA grinned and accepted it. Calloway later earned ouster from the Tide program for his part in a vicious on-campus mugging. Three other Tide players were removed from the team including D.J. Pettway, Tyler Hayes and Eddie Williams. Remember when four Auburn players were charged with burglary, it was the end of the world and showed signs of a program out of control? Their trials were covered gavel to gavel by state media. Here? Silence. On signing day 2011 Cyrus Kuandjio announced on national television that he chose to sign with Auburn. His letter was never faxed and he virtually disappeared for three days. When he emerged, he announced via his brother’s twitter that he would play for Alabama. 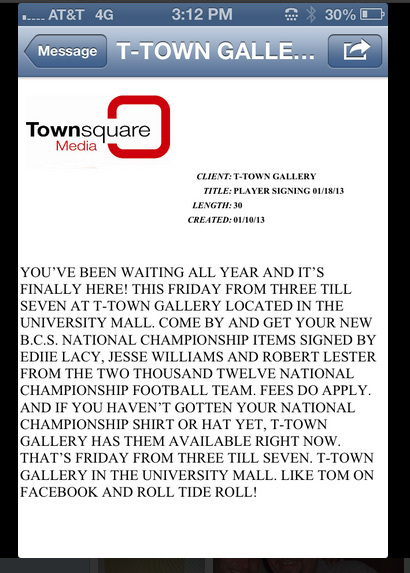 In July of 2011 the Internet exploded with thousands of photos of Alabama players cavorting in T-Town Menswear, a Tuscaloosa clothing store, and with its owner Tom Al-Betar. Photos included players signing stacks of jerseys and other memorabilia, players lounging in the store office, players at store-sponsored events, players sporting numerous outfits provided by T-Town Menswear, players at dinner with Al-Betar, players at parties at his home and Al-Betar hugging up to administrators and coaches including Saban. The sheer number of new suits worn by Jones (ten in a single season) was a source of comment and ridicule by several outlets. Days after the photos drew attention, the University of Alabama released a cease and desist letter allegedly dated the previous December and supposedly hand-delivered by Athletic Director Mal Moore (no postmark) that directed Al-Betar to stop selling autographed merchandise. Two days later the University produced another hand-delivered letter, this one allegedly dated the previous March that disassociated Al-Betar from the program for three years. According to the terms of the letter, Al-Betar should have no interaction with the University until March 2014. 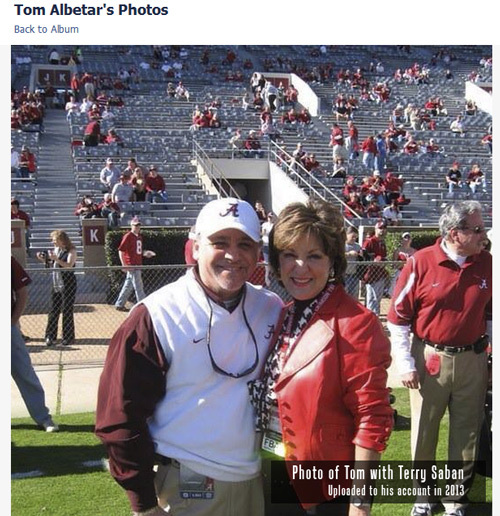 Curiously enough, photos surfaced in 2013 that showed Al-Betar sporting a 2012 Alabama National Championship ring. Multiple sources show Al-Betar still circling the Alabama program. His Facebook page sporadically sprouts a forest of photos many in seemingly blatant, unconcerned violation of the cease and desist orders. 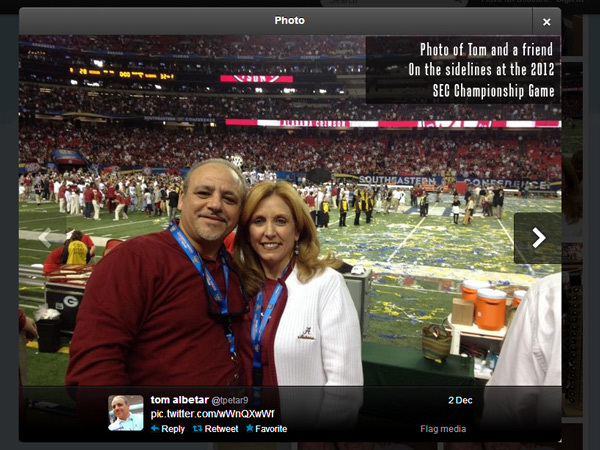 Al-Betar’s Twitter and Facebook photo caches include shots of him on the sidelines of the 2012 SEC Championship game and behind the scenes with Saban and family. He also continued to promote store events using his Alabama connections. On Monday January 7, 2013 the Alabama Crimson Tide won the BCS title over Notre Dame. The Tide arrived home on the 8th. Two days later Al-Betar allegedly hosted an autograph session featuring several members of that recently crowned team. According to a text from Al-Betar, Eddie Lacy, a junior the 2012 championship team was scheduled to appear at the signing event planned at his store on January 10. Lacy declared for the NFL draft on January 11. 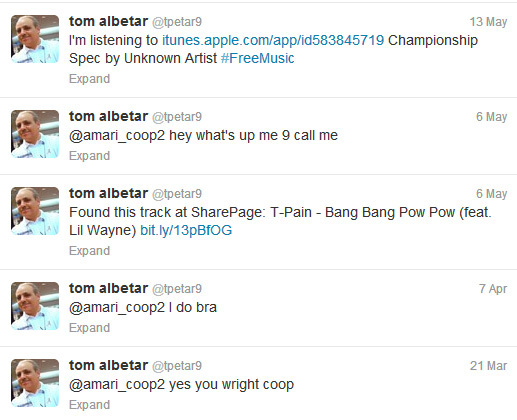 Al-Betar’s current twitter feed also contains a May 2013 plea for his “friend” Amari Cooper — a current member of the Alabama program — to give him a call. Note: Multiple comments have claimed @amari_coop2 is not the Twitter account for Amari Cooper. This is news to Bama Radio 99.1 which listed the Twitter accounts for multiple Tide players in June of 2013. This is news to SI’s BamaHammer site which features player tweets. This is also news to at least one Tuscaloosa News staffer who communicated with that Twitter account to confirm Cooper’s playing status. 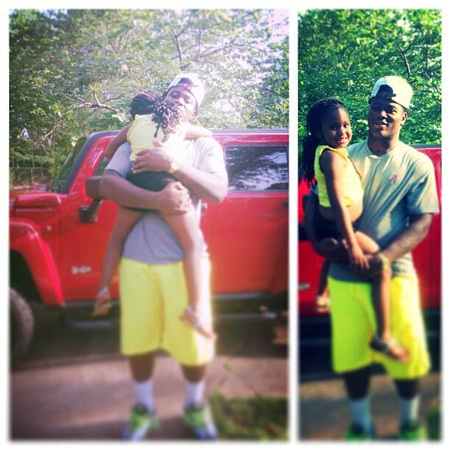 In August of 2011 some questioned the propriety of father of two Trent Richardson driving a nearly new luxury SUV. Similar questions were raised about the vehicles driven by other Alabama players including Ingram, Jones and Kirkpatrick. This followed rampant internet speculation about Gadsden area players and the procurement of Dodge Chargers. In September of 2011, residency questions and curious car rental records related to Richardson’s family emerged. These valid questions were completely ignored by state and national media. In December of 2011 Daphne running back T.J. Yeldon, an Auburn commit, went underground prior to a “no contact” period and offered his signature to Alabama through a release from his high school coach. In January of 2012, the mother of Alabama recruit Landon Collins charged Saban with offering her son’s girlfriend a job in order to sway his decision. Collins signed with Alabama. 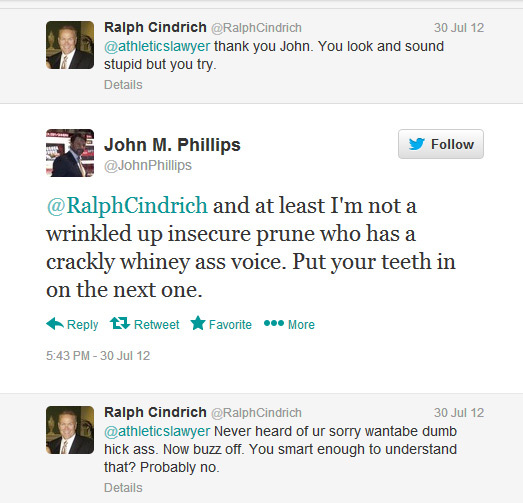 In July of 2012 a Pittsburgh sports agent, Ralph Cindrich, openly accused Alabama and specifically Saban of improper conduct. Also in July of 2012, Alabama fan sites buzzed with rumors that D.J. Fluker had been or would be suspended, with many sites claiming contact with an agent as the cause. 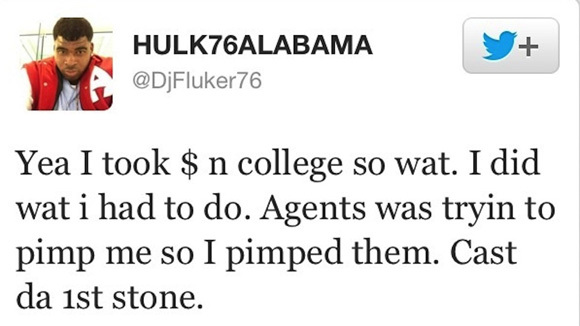 Fluker responded via a Twitter account associated with him that he had not been suspended. In August of 2012, Alabama recruit Darius Page briefly made headlines when his transfer to Foley High School came into question. Page was allegedly told that Foley, former home of Alabama receiver Julio Jones, would “take care of him academically” by Alabama assistant coach Jeremy Pruitt. In January of 2013 a report broke that detailed the use and promotion of performance-enhancing deer antler spray by Alabama athletes in violation of a cease and desist letter. Interestingly, former Alabama end Jon Copeland ranted that Auburn was paying Foster when he was committed to the Tigers. “Reuben was paid more than Alabama was willing to pay him. We’ve got boosters out there that wasn’t willing to pay Reuben Foster what some boosters were willing to pay in Auburn,” Copeland complained in a televised diatribe, aghast that any player would choose Auburn. Copeland was silent when Foster made his later “business decision”. Also in February photos of numerous Alabama players and their expensive cars began to pop up online in homage to custom rims the players had installed at Hot Wheelz, a Mobile customization shop. Among the players pictured were D.J. Fluker, A.J. McCarron, Trey DePriest, Mark Barron, Robert Lester, Alphonse Taylor, Chris Black, C.J. Moseley and more. Included in the photo trove are multiple photos of Tide players, Fluker in particular, dining in the home of Hot Wheelz management. The Hot Wheelz Facebook site has disappeared taking the photos with it, but they remain available in multiple online venues. 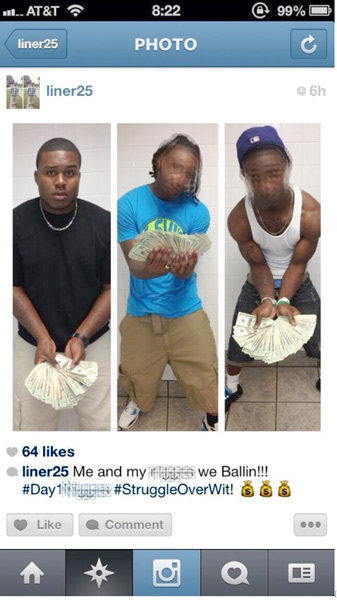 In July of 2013, former Auburn commit Dee Liner, who had signed with Alabama, posted photos of himself on Twitter holding wads of cash on the day that he first reported to campus. Hashtag Day1(expletive deleted). Hashtag StruggleOverWit. In September of 2013 Yahoo!Sports released the results of a detailed investigation that provided seemingly conclusive evidence that Fluker (and possibly others) accepted money from Alabama boosters including Twitter warrior sports agent John Phillips and Al-Betar defender Luther Davis. 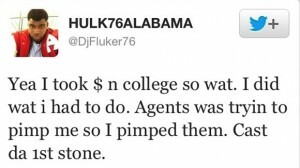 So what about those Fluker Tweets in July of 2012? The Yahoo! story noted transactions related to Fluker from September 2011 through December 2012. The July flareup falls right in that wheelhouse. In October of 2013, Alabama assistant strength coach Corey Harris was placed on administrative leave for allegedly providing a loan to Tide safety Ha Ha Clinton-Dix. Various sources claim the University was aware as early as June of this year. Dix was suspended indefinitely but most observers expect him to be reinstated after a maximum of four games. In other words just in time for Alabama’s more difficult late season slate. Has anybody checked on that repeat window lately? The explanations for the alleged loan boggle the mind. Despite Internet rumor that the cash was intended to purchase an expensive watch for a girlfriend, the official story is that it was provided to help replace luxury items including an iPad, Air Jordans and other merchandise stolen from his vehicle. The Geico gecko, Flo, Mayhem and the bald Farmer’s guy are all perplexed. Insurance? Who’s ever heard of that? What about the emergency fund discretion schools have? Were neither Dix nor Harris aware? Bringing it full circle is the news that Clinton-Dix, allegedly so cash strapped he had to ask a coach for money, was driving a nearly new vehicle. A nearly new Dodge Charger. 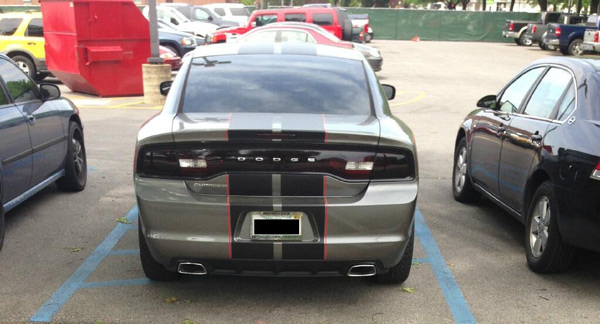 A tricked out 2012 Dodge Charger with custom rims. That’s a lot of combined high dollar vehicle for two unemployed college students, at least one of which has a child to support. And that’s before custom rims. The assistant that provided the money to Clinton-Dix is associated with an as yet unnamed sports agent. The high school Clinton-Dix attended was the beneficiary of renovations provided by (drumroll) The University of Alabama athletic program during his recruitment. Coincidence, of course. With Dix suspended, one of the players expected to take snaps at his position is Follow The Girl Collins. Assistant coach Harris was hired in part because of his close association with Dee Milliner, the ninth overall pick in the 2012 NFL draft, who he coached in high school. 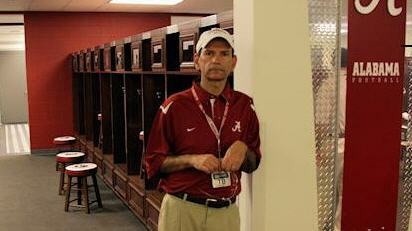 Harris was one of nine — NINE — strength and conditioning coaches on the Alabama payroll. David Chase couldn’t have concocted a shadier script. How much fire does there have to be in order to see the smoke? It’s worth noting that all we know about this current incident is what Alabama wants us to know. The Tuscaloosa News, an obvious Alabama apologist, was provided the story to disseminate. Potential damage was mitigated from the outset. We’d love to compare the response to the news that Clinton-Dix accepted money from an assistant coach to how similar transgressions may have been handled by the NCAA at Auburn, but the last legitimate NCAA incident on the Plains is so far removed that most of the players in the game today weren’t even born when it transpired. We could compare the media and NCAA evisceration of Ohio State and former coach Jim Tressel for a couple of hundred dollars worth of player tattoos to the deafening silence far more egregious accusations at Alabama have received, but we will leave it to Buckeye fans to draw those parallels. Instead we’d prefer once again to mine the fertile territory of hysterical reaction to allegations against Auburn from 2010-2012 to the blind-eye response to concrete visual and documented proof of constant violations perpetrated by our rival. In April of 2013 Greg Couch of Fox Sports called on the NCAA to rain hellfire on Auburn in the wake of a poorly sourced and thoroughly refuted hit piece from a disgraced reporter blogging from her back porch. Where was Couch when Yahoo! published receipts and documented evidence of rampant violations at Alabama? What was his response to coaches providing illegal benefits to players? Crickets. 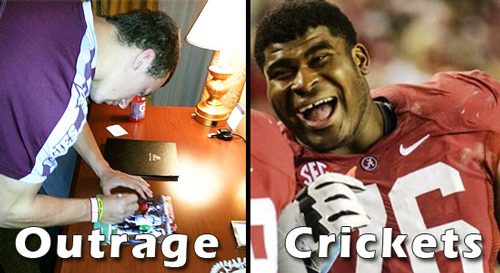 Plenty of fury over Johnny Manziel’s autographs, but straight crickets on Alabama. Imagine if the unfairly maligned Trooper Taylor, or any other current or former Auburn former coach paid a player $500. Imagine there was hard, incontrovertible proof. What would be the reaction? You know the answer. Howling from the radio masses, consternation from TV’s talking heads and a constant update ticker scrawling across the bottom of every ESPN channel. What if a widely known two-time Auburn alum and booster, who had already been involved in getting the ball rolling in a possible scandal at a rival school, was involved in paying Auburn players large sums of cash? What if there was undeniable proof that this had occurred? Does the name John Phillips ring a bell? What would the state and national reaction be if Phillips represented Auburn interests? Thayer Evans, Selena Roberts, Joe Schad, Pete Thamel, Brooks Melichor, Pat Forde, Paul Finebaum and hundreds of other national, state and local media would collapse in spasms of joy that would make Caligula blush. We’ve already seen that disturbing visual come to pass when there was no credible evidence whatsoever against Auburn. Where are the paroxysms of glee as the bricks mount in Tuscaloosa? It doesn’t take a rocket scientist to complete the puzzle laid out above. It’s as simple as a first grade connect-the-dots picture of a fish. A stinking smelly fish. Don’t insult our intelligence with the “everybody does it” line. We watched as Auburn was examined with an electron microscope every time some hack mouthed off about something he or she fabricated. Each of those inquisitions turned up nothing. No, everybody doesn’t do it. Just imagine what real reporters (like those who descended on Auburn in 2010 but came up empty) could find if they went fishing in Tuscaloosa, even if they did so with one eye closed. Just imagine what the NCAA could find if it wasn’t too afraid of or too close to Alabama to ask questions. Where’s the rush to investigate the stockpile of suspensions, the flush of medical redshirts, or any of the other low hanging fruit? Where is the handwringing over a program out of control as each new revelation just gives more credence to all that came before it? Are all of those events somehow isolated incidents and unworthy of further review? No. It appeares to be systemic, a clear pattern of ever-increasing impropriety. All anyone has to do is look. Even a cursory glance would do. There’s more, but why belabor it. You know. We know. What now? When the Newton allegations, the HBO story and the delusional Selena Roberts attacks raged, we demanded facts that never materialized. We asked for proof and got none. We provided the truth, we backed it up with evidence and we stood our ground against a whirlwind of fraudulent accusations. For that we were painted as lunatic fringe fans by Paul Finebaum, whose slimy, fawning relationship with Alabama head coach Nick Saban always seemed improper. Suspicions that Finebaum is little more than a shill for Saban were confirmed by Saban’s own recent admissions. Through Finebaum and his connections to ESPN, the crimson message is shaped, our mission minimized. How is it possible to paint Saban as a detail-oriented mastermind keenly aware of every aspect of the program that he holds in his iron disciplinarian’s grip and simultaneously cast him as the ultimate victim, blindsided by the uncontrollable actions of the players and coaches who report to him? Yet that’s the accepted narrative. Why is it that lesser allegations at other programs provoke national outrage, weeping and wailing while multiple instances of documented proof at Alabama generate little more than a collective yawn? Is it possible that the oily connection between Alabama’s head coach, the head of the NCAA and influential members of the enforcement staff truly does provide conspiratorial immunity? We’ve seen the reaction among the fans of rival SEC schools and the fans of other traditional powers. The consensus is that Alabama is above the law. The widespread belief is that there could be a high definition video of every athlete in every sport at the Capstone being handed a Breaking Bad sized barrel of cash and the NCAA would decline to act. The prevailing sentiment is that nothing can be done. What then is our role? Can we afford to do nothing? As Auburn fans we watched, enraged, as those around us pushed the narrative and created a storm of controversy we had to weather. We’ve watched fans of USC, OSU and other programs suffer the same. Those storms were fanned by public outrage (real or imagined). Here there is fire. Actual roaring, blazing flame. And it’s being ignored. We have the power to change the narrative. Despite what some might tell you, we have that power. Don’t let the talking heads on radio blithely dismiss the allegations and change the subject. Force the conversation. Don’t let state and local media whitewash what’s happening. Bring your voice to bear on them and their supervisors. We believe it is our duty as fans of college football, regardless of allegiance, to protect the sport we love from destruction. That can only happen when rules aren’t arbitrary, when some cows aren’t too sacred to burn, when a level playing field means just that. 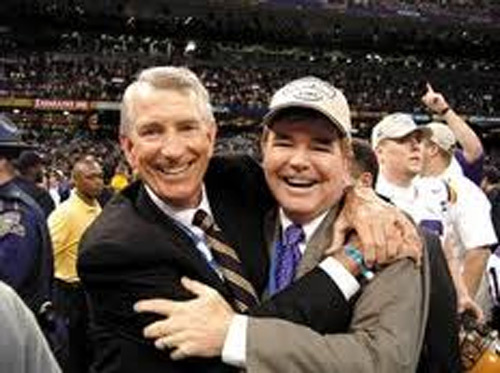 As long as there has been college football there are those who believed themselves above the law. Winning, regardless of the method or cost, was the only goal. There are those who believe that success can only come in the obliteration of competition. That’s not what we believe. There’s more to this game than crystal trophies and braggart t-shirts. It’s about passion, pageantry, pride and most of all enjoyment. But when one program is allowed to build an empire while it tramples roughshod over the rules and spits on the spirit of fair play, all of that is lost. We hope that isn’t what you want. We trust that equitable treatment for all teams remains the ultimate goal. If you believe those things as we do, don’t stand idly by. It has often been said that for evil men to accomplish their purpose it is only necessary that good men should do nothing. Auburn is the 2nd most penalized school in history behind SMU!!! So when you spend so much time worry about Alabama it is quite flattering. Just like a Bama fan to talk about ancient history. In the current world, no program has been penalized more in the last 20 years than Alabama. And more is coming. So laugh all you want, chuckles. Your cheated championships are worthless. Hey, I think Bama did suspend one player for the FCS games. They deserve a round of applause. However, many SEC schools do get away with more then the other conference schools do. There can probably be a 40 page report on that. Auburn fans sure are an ungrateful group of people. Alabama was generous enough to step aside and allow them to win a championship after they saw how jealous auburn fans got over the 2009 season. This article is no way to say thank you. I nominate this article for read of the year. VERY well written and loves the FACTS you attached as well. The only thing you forgot to mention is that Alabama also is the ONLY program in the country who has a program like the Bear Bryant Scholarship Award. Google it and you may be surprised at what you find. The article is spot on, but the best part of this article is that every single Alabama fan that comments has terrible grammar. And no, I am not an Auburn fan. Everyone hates you guys. Bravo! A great read… You guys uncovered yet another realm of Crimson Tide dominance over little brother-cheating. The cynicism of the Alabama fans responding to this article is distasteful. I pity the UA fans who are naive enough to think this is all bs generated by jealousy. For the ones who know what is going on, I have to wonder if they have any idea what will happen If they keep pushing it to the point that the NCAA becomes completely ineffectual. NCAA oversight of the big market schools is the thing keeping the royal elephants competitive. If the floodgates open, OSU, USC Notre Dame, and Texas will be the Yankees and Red Sox, and the Tide will be the Mariners or Rays. Oil money trumps coal money every time.